Equipped with full spectrum LED Light Therapy, the innovative UFO Smart Mask device utilizes Hyper-Infusion Technology to activate and enhance FOREO’s line of single-use masks. Optimized for all skin types with 8 adjustable intensities, the 3-zone LUNA mini 2 facial cleansing device eliminates blemish-causing impurities while remaining gentle on the skin. This 2-in-1 facial cleansing and anti-aging device is available in 4 brush designs to meet the needs of Combination, Normal, Oily and Sensitive skin types. Experience the world's most advanced 90-second smart mask that combines UFO-activated mask formulas with FOREO’s Hyper-Infusion Technology. The UFO Smart Mask Treatment lifts and firms skin, diminishes the appearance of pores and reduces inflammation. 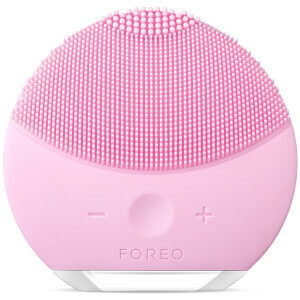 FOREO's story began with the Luna, a cleansing brush inspired by what was missing in the market. The Luna allows gentle facial washing rather than using abrasive nylon bristles that could potentially lead to over exfoliation and counter-productivity. 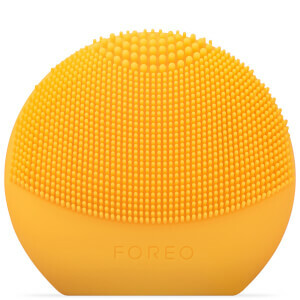 FOREO introduced the world to a silicone brush that channels up to 8,000 transdermal sonic pulsations. These sonic pulsations slough off dead skin cells and remaining traces of make-up, taking 99.5% of dirt and oil with it and boosting the absorption of your skincare.